In 2018, Ireland was ranked by Zucman as the largest global corporate tax haven. In 2016, Ireland's largest company, Apple, received the biggest corporate tax fine in history at €13 billion. Ireland's IP-based BEPS tool, the Double Irish, enabled the largest build-up of untaxed offshore cash in history, at $1 trillion. From 1982 to 2017, Ireland received the most U.S. corporate inversions. U.S. controlled multinationals are 14 of Ireland's top 20 corporates, and pay 80% of Irish corporate tax (see here). A corporate haven, corporate tax haven, or multinational tax haven, is a jurisdiction that multinational corporations find attractive for establishing subsidiaries or incorporation of regional or main company headquarters, mostly due to favourable tax regimes (not just the headline tax rate), and/or favourable secrecy laws (such as the avoidance of regulations or disclosure of tax schemes), and/or favourable regulatory regimes (such as weak data-protection or employment laws). Modern corporate tax havens (such as Ireland, the Netherlands, and Singapore), differ from traditional corporate tax havens (such as Bermuda, the Cayman Islands and Jersey), in their ability to maintain OECD compliance, while using OECD–whitelisted § IP–based BEPS tools and § Debt–based BEPS tools, which don't file public accounts, to enable the corporate to avoid taxes, not just in the corporate haven, but in all operating countries that have tax treaties with the haven. While the "headline" corporate tax rate in corporate havens is always above zero (e.g. Netherlands at 25%, U.K. at 19%, Singapore at 17%, and Ireland at 12.5%), the "effective" tax rate (ETR) of multinational corporations, net of the BEPS tools, is closer to zero. Estimates of lost annual taxes to corporate havens range from $100 to $250 billion. To increase respectability, and access to tax treaties, some havens like Singapore and Ireland require corporates to have a "substantive presence", equating to an " § Employment tax" of circa 2–3% of profits shielded via the haven (if these are real jobs, the tax is mitigated). In § Corporate tax haven lists, CORPNET's "Orbis connections", ranks the Netherlands, U.K., Switzerland, Ireland, and Singapore as the world's key corporate tax havens, while Zucman's "quantum of funds" ranks Ireland as the largest global corporate tax haven. In § Proxy tests, Ireland is the largest recipient of U.S. tax inversions (the U.K. is third, the Netherlands is fifth). Ireland's double Irish BEPS tool is credited with the largest build-up of untaxed corporate offshore cash in history. Luxembourg and Hong Kong and the Caribbean "triad" (BVI-Cayman-Bermuda), have elements of corporate tax havens, but also of traditional tax havens. Unlike traditional tax havens, modern corporate tax havens reject they have anything to do with near-zero effective tax rates, due to their need to encourage jurisdictions to enter into bilateral tax treaties which accept the haven's BEPS tools. CORPNET show each corporate tax haven is strongly connected with specific traditional tax havens (via additional BEPS tool "backdoors" like the double Irish, the dutch sandwich, and single malt). Corporate tax havens promote themselves as "knowledge economies", and IP as a "new economy" asset, rather than a tax management tool, which is encoded into their statute books as their primary BEPS tool. This perceived respectability encourages corporates to use havens as regional headquarters (i.e. Google, Apple, and Facebook use Ireland/U.K. in EMEA over Luxembourg, and Singapore in APAC over Hong Kong/Taiwan; none use the BVI–Cayman–Bermuda "triad" as a regional headquarters). Smaller corporate havens meet the IMF–definition of an offshore financial centre, as the untaxed accounting flows from the BEPS tools, artificially distorts the economic statistics of the haven (e.g. Ireland's 2015 leprechaun economics GDP, Luxembourg's 70% GNI to GDP ratio, most § Ten major tax havens are in the top 15 § GDP-per-capita tax haven proxy list). The distortion can lead to over-leverage in the haven's economy (and property bubbles), making them prone to severe credit cycles. Bilateral tax treaties with the corporate tax haven, which accept these BEPS tools as deductible against tax in the higher-tax jurisdictions. Restructuring the income into a securitisation vehicle (by owning the IP, or other asset, with debt), and then "washing" the debt by "back-to-backing" with a Eurobond (i.e. Orphaned Super-QIAIF). Make no mistake: the headline rate is not what triggers tax evasion and aggressive tax planning. That comes from schemes that facilitate [base erosion and] profit shifting [or BEPS]. Under BEPS, new requirements for country-by-country reporting of tax and profits and other initiatives will give this further impetus, and mean even more foreign investment in Ireland. § Employment tax strategies. Leading corporate tax havens distance themselves from traditional tax havens by requiring corporates to establish a "presence of substance" in their jurisdiction. This equates to an effective "employment tax" of circa 2–3% but it gives the corporate, and the jurisdiction, defense against accusations as being a tax haven, and is supported in OCED MLI Article 5. Data protection laws. To maintain OECD–whitelist status, corporate tax havens cannot use the secrecy legislation found in very traditional tax havens. They keep the "effective" tax rates of corporations hidden with data protection and privacy laws which prevent the public filing of accounts and also limit the sharing of data across State departments (see here for examples). Local subsidiaries of multinationals must always be required to file their accounts on public record, which is not the case at present. Ireland is not just a tax haven at present, it is also a corporate secrecy jurisdiction. It is difficult to calculate the financial effect of tax havens in general due to the obfuscation of financial data. Most estimates have wide ranges (see financial effect of tax havens). By focusing on "headline" vs. "effective" corporate tax rates, researchers have been able to more accurately estimate the annual financial tax losses (or "profits shifted"), due to corporate tax havens specifically. This is not easy, however. As discussed above, havens are sensitive to discussions on “effective” corporate tax rates and obfuscate data that does not show the "headline" tax rate mirroring the "effective" tax rate. Zucman used this analysis to estimate that the annual financial impact of corporate tax havens was $250 billion in 2015. This is beyond the upper limit of the OECD's 2017 range of $100–200 billion per annum for base erosion and profit shifting activities. These are the most credible and widely quoted sources of the financial impact of corporate tax havens. The World Bank, in its 2019 World Development Report on the future of work suggests  that tax avoidance by large corporations limits the ability of governments to make vital human capital investments. A study published in Nature in 2017 (see Conduit and Sink OFCs), highlighted an emerging gap between corporation tax haven specialists (called Conduit OFCs), and more traditional tax havens (called Sink OFCs). It also highlighted that each Conduit OFC was highly connected to specific Sink OFC(s). For example, Conduit OFC Switzerland was highly tied to Sink OFC Jersey. Conduit OFC Ireland was tied to Sink OFC Luxembourg,  while Conduit OFC Singapore was connected to Sink OFCs Taiwan and Hong Kong (the study clarified that Luxembourg and Hong Kong were more like traditional tax havens). The separation of tax havens into Conduit OFCs and Sink OFCs, enables the corporate tax haven specialist to promote "respectability" and maintain OECD-compliance (critical to extracting untaxed profits from higher-taxed jurisdictions via cross-border intergroup IP charging), while enabling the corporate to still access the benefits of a full tax haven (via double Irish, dutch sandwich type BEPS tools), as needed. Several modern corporate tax havens, such as Singapore and the United Kingdom, ask that in return for corporates using their IP-based BEPS tools, they must perform "work" on the IP in the jurisdiction of the haven. The corporation thus pays an effective "employment tax" of circa 2-3% by having to hire staff in the corporate tax haven. This gives the haven more respectability (i.e. not a " brass plate" location), and gives the corporate additional "substance" against challenges by taxing authorities. The OECD's Article 5 of the MLI supports havens with "employment taxes" at the expense of traditional tax havens. Mr. Chris Woo, tax leader at PwC Singapore, is adamant the Republic is not a tax haven. "Singapore has always had clear law and regulations on taxation. Our incentive regimes are substance-based and require substantial economic commitment. For example, types of business activity undertaken, level of headcount and commitment to spending in Singapore", he said. The Netherlands is fighting back against its reputation as a tax haven with reforms to make it more difficult for companies to set up without a real business presence. Menno Snel, the Dutch secretary of state for finance, told parliament last week that his government was determined to “overturn the Netherlands’ image as a country that makes it easy for multinationals to avoid taxation”. The United Kingdom was traditionally a "donor" to corporate tax havens (e.g. the last one being Shire plc's tax inversion to Ireland in 2008 ). However, the speed at which the U.K. changed to becoming one of the leading modern corporate tax havens (at least up until pre- Brexit), makes it an interesting case (it still does not appear on all § Corporate tax haven lists). British Overseas Territories (same geographic scale) includes leading traditional and corporate global tax havens including the Caymans, the BVI and Bermuda, as well as the U.K. itself. A growing array of tax benefits have made London the city of choice for big firms to put everything from “letterbox” subsidiaries to full-blown headquarters. A loose regime for “controlled foreign corporations” makes it easy for British-registered businesses to park profits offshore. Tax breaks on income from patents [IP] are more generous than almost anywhere else. Britain has more tax treaties than any of the three countries [Netherlands, Luxembourg, and Ireland] on the naughty step—and an ever-falling corporate-tax rate. In many ways, Britain is leading the race to the bottom. This distortion means that all corporate tax havens, and particularly smaller ones like Ireland, Singapore, Luxembourg and Hong Kong, rank at the top in global GDP-per-capita league tables. In fact, not being a county with oil & gas resources and still ranking in the top 10 of world GDP-per-capita league tables, is considered a strong proxy sign of a corporate (or traditional) tax haven. GDP-per-capita tables with identification of haven types are here § GDP-per-capita tax haven proxy. The statistical distortions created by the impact on the Irish National Accounts of the global assets and activities of a handful of large multinational corporations [during leprechaun economics] have now become so large as to make a mockery of conventional uses of Irish GDP. Capital allowance for intangible assets schemes, used to avoid corporate taxes within the haven, by allowing corporates write-off their IP against tax. It was interesting that when [Member of European Parliament, MEP] Matt Carthy put that to the [Finance] Minister's predecessor ( Michael Noonan), his response was that this was very unpatriotic and he should wear the " green jersey". That was the former Minister's response to the fact there is a major loophole, whether intentional or unintentional, in our tax code that has allowed large companies to continue to use the double Irish [the "single malt"]. That is until the former venture-capital executive at ABN Amro Holding NV Joop Wijn becomes [Dutch] State Secretary of Economic Affairs in May 2003. It's not long before the Wall Street Journal reports about his tour of the US, during which he pitches the new Netherlands tax policy to dozens of American tax lawyers, accountants and corporate tax directors. In July 2005, he decides to abolish the provision that was meant to prevent tax dodging by American companies [the Dutch Sandwich], in order to meet criticism from tax consultants. Intellectual property (IP) has become the leading tax-avoidance vehicle. When Apple "onshored" $300 billion of IP to Ireland in 2015 ( leprechaun economics),  the Irish Central Statistics Office suppressed its regular data release to protect the identity of Apple (unverifiable for 3 years, until 2018),  but then described the artificial 26.3% rise in Irish GDP as "meeting the challenges of a modern globalised economy" (the CSO was described as putting on the "green jersey"). Leprechaun economics an example of how Ireland was able to meet with the OECD's transparency requirements (and score well in the Financial Secrecy Index), and still hide the largest BEPS action in history. As noted earlier ( § U.K. transformation), the U.K. has a Minister for Intellectual Property and an Intellectual Property Office,  as does Singapore ( Intellectual Property Office of Singapore). The top 10 list of the 2018 Global Intellectual Property Center IP Index, the leaders in IP management, features the five largest modern corporate tax havens: United Kingdom (#2), Ireland (#6), the Netherlands (#7), Singapore (#9) and Switzerland (#10). This is despite the fact that patent-protection has traditionally been synonymous with the largest, and longest established, legal jurisdictions (i.e. mainly older G7-type countries). In June 2017, the German Federal Council approved a new law called an IP "Royalty Barrier" (Lizenzschranke) that restricts the ability of corporates to deduct intergroup cross-border IP charges against German taxation (and also encourage corporates to allocate more employees to Germany to maximise German tax-relief). The law also enforces a minum "effective" 25% tax rate on IP. While there was initial concern amongst global corporate tax advisors (who encode the IP leglislation) that a "Royalty Barrier" was the "beginning of the end" for IP-based BEPS tools,  the final law was instead a boost for modern corporate tax havens, whose OECD-compliant, and more carefully encoded and embedded IP tax regimes, are effectively exempted. More traditional corporate tax havens, which do not always have the level of sophistication and skill in encoding IP BEPS tools into their tax regimes, will fall further behind. Tax regimes where there is no "preferential treatment" of IP. Modern corporate tax havens apply the full "headline" rate to all IP, but then achieve lower "effective" rates via BEPS tools. However, given the nature of the Irish tax regime, the [German] royalty barrier should not impact royalties paid to a principal licensor resident in Ireland. Ireland's BEPS-compliant tax regime offers taxpayers a competitive and robust solution in the context of such unilateral initiatives. The failure of the German "Royalty Barrier" approach is a familiar route for systems that attempt to curb corporate tax havens via an OECD-compliance type approach (see § Failure of OECD BEPS Project), which is what modern corporate tax havens are distinctive in maintaining. It contrasts with the U.S. Tax Cuts and Jobs Act of 2017 (see § Failure of OECD BEPS Project), which ignores whether a jurisdiction is OECD compliant (or not), and instead focuses solely on "effective taxes paid", as its metric. Had the German "Royalty Barrier" taken the U.S. approach, it would have been more onerous for havens. Reasons for why the barrier was designed to fail is discussed in complex agendas. For example, Google Germany should be even more profitable than the already very profitable Google U.S. This is because the marginal additional costs for firms like Google U.S. of expanding into Germany are very low (the core technology platform has been built). In practice, however, Google Germany is actually unprofitable (for tax purposes), as it pays intergroup IP charges back to Google Ireland, who reroutes them to Google Bermuda, who is extremely profitable (more so than Google U.S.). These intergroup IP charges (i.e. the IP-based BEPS tools), are artificial internal constructs. Apple's Q1 2015 Irish "quasi-inversion" of its $300bn international IP (known as leprechaun economics), is the largest recorded individual BEPS action in history, and almost double the 2016 $160bn Pfizer-Allergan Irish inversion, which was blocked. Modern corporate tax havens further leverage their IP-based BEPS toolbox to enable international corporates to execute quasi-tax inversions, which could otherwise be blocked by domestic anti-inversion rules. The largest example was Apple's Q1 January 2015 restructuring of its Irish business, Apple Sales International, in a quasi-tax inversion, which led to the Paul Krugman labeled " leprechaun economics" affair in Ireland in July 2016 (see article). Financial commentators estimate Apple onshored circa $300 billion in IP to Ireland, effectively representing the balance sheet of Apple's non-U.S. business. Thus, Apple completed a quasi-inversion of its non-U.S. business, to itself, in Ireland, which was almost twice the scale of Pfizer-Allergan's $160 billion blocked inversion. Thus, Apple was able to achieve what Pfizer-Allergan could not, by making use of Ireland's advanced IP-based BEPS tools. Apple avoided any U.S regulatory scrutiny/blocking of its actions, as well as any wider U.S. public outcry, as Pfizer-Allergan incurred. Apple structured an Irish corporate effective tax rate of close to zero on its non-U.S. business, at twice the scale of the Pfizer-Allergan inversion. The Netherlands has been a leader in this area, using specifically worded legislation to enable IP-light companies further amplify "earnings-stripping". This is used by mining and resource extraction companies, who have little or no IP, but who use high levels of leverage and asset financing. Dutch tax law enables IP-light companies to "overcharge" their subsidiaries for asset financing (i.e. reroute all untaxed profits back to the Netherlands), which is treated as tax-free in the Netherlands. The technique of getting full tax-relief for an artificially high-interest rate in a foreign subsidiary, while getting additional tax relief on this income back home in the Netherlands, became known by the term, "double dipping". As with the Dutch sandwich, ex. Dutch Minister Joop Wijn is credited as its creator. In 2006 he [ Joop Wijn ] abolished another provision meant to prevent abuse, this one pertaining to hybrid loans. Some revenue services classify those as loans, while others classify those as capital, so some qualify payments as interest, others as profits. This means that if a Dutch company provides such a hybrid [and very high interest] loan to a foreign company, the foreign company could use the payments as a tax deduction, while the Dutch company can classify it as profit from capital, which is exempt from taxes in the Netherlands [called "double dipping"]. This way no taxes are paid in either country. The Irish Section 110 SPV uses complex securitisation loan structuring (including "orphaning" which adds confidentiality), to enable the profit shifting. This tool is so powerful, it inadvertently enabled US distressed debt funds avoid billions in Irish taxes on circa €80 billion of Irish investments they made in 2012-2016 (see Section 110 abuse). This was despite the fact that the seller of the circa €80 billion was mostly the Irish State's own National Asset Management Agency. While securitisation SPVs are important new BEPS tools, and acceptable under global tax-treaties, they suffer from "substance" tests (i.e. challenges by tax authorities that the loans are artificial). Irish Section 110 SPV's use of " Profit Participation Notes" (i.e. artificial internal intergroup loans), is an impediment to corporates using these structures versus established IP-based BEPS tools. Solutions such as the Orphaned Super-QIAIF have been created in the Irish tax code to resolve this. In February 2018, the Central Bank of Ireland upgraded the little-used Irish L-QIAIF regime to offer the same tax benefits as Section 110 SPVs but without the need for Profit Participation Notes and without the need to file public accounts with the Irish CRO (which had exposed the scale of Irish domestic taxes Section 110 SPVs had been used to avoid, see abuses). The study and identification of modern corporate tax havens are still developing. Traditional qualitative-driven IMF-OCED- Financial Secrecy Index type tax haven screens, which focus on assessing legal and tax structures, are less effective given the high levels of transparency and OECD-compliance in modern corporate tax havens (i.e. most of their BEPS tools are OECD-whitelisted). The distortion of national accounts by the accounting flows of particular IP-based BEPS tools is a proxy. This was spectacularly shown in Q1 2015 during Apple's leprechaun economics. The non-Oil & Gas nations in the top 15 List of countries by GDP (PPP) per capita are tax havens led by Luxembourg, Singapore and Ireland (see § GDP-per-capita tax haven proxy). The use of “ common law” legal systems, whose structure gives greater legal protection to the construction of corporate tax “loopholes” by the jurisdiction (e.g. the double Irish, or trusts), is sometimes proposed. There is a disproportionate concentration of common law systems amongst corporate tax havens, including Ireland, the U.K., Singapore, Hong Kong, most Caribbean (e.g. the Caymans, Bermuda, and the BVI). However it is not conclusive, as major havens, Luxembourg and the Netherlands run “ civil law” systems. 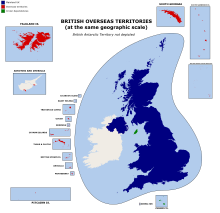 Many havens are current, or past U.K. dependencies. Switzerland - long-established corporate tax haven and a major Conduit OFC for Jersey, one of the largest established offshore tax havens. Singapore - the main Conduit OFC for Asia, and the link to the two major Asian Sink OFCs of Hong Kong and Taiwan (Taiwan is described as the Switzerland of Asia ). The only jurisdiction from the above list of major global corporate tax havens that makes an occasional appearance in OECD-IMF tax haven lists is Switzerland. These jurisdictions are the leaders in IP-based BEPS tools and use of intergroup IP charging and have the most sophisticated IP legislation. They have the largest tax treaty networks and all follow the § Employment tax approach. British Virgin Islands Bermuda Cayman Islands - The Caribbean "triad" of Bermuda/BVI/Cayman are classic major tax havens, and therefore with limited access to full global tax treaty networks, thus relying on Conduit OFCs for access; heavily used by U.S. multinationals. Luxembourg - noted by CORPNET as being close to a Conduit, however, U.S. firms are more likely to use Ireland/U.K. as their Conduit OFC to Luxembourg. Hong Kong - often described as the "Luxembourg of Asia";  U.S. firms are more likely to use Singapore as their Conduit OFC to route to Hong Kong. The above five corporate tax haven Conduit OFCs, plus the three general tax haven Sink OFCs (counting the Caribbean "triad" as one major Sink OFC), are replicated at the top 8-10 corporate tax havens of many independent lists, including the Oxfam list,   and the ITEP list. (see § Corporate tax haven lists). Gabriel Zucman's analysis differs from most other works in that it focuses on the total quantum of taxes shielded. He shows that many of Ireland's U.S. multinationals, like Facebook, don't appear on Orbis (the source for quantitative studies, including CORPNET's) or have a small fraction of their data on Orbis (Google and Apple). Analysed using a "quantum of funds" method (not an "Orbis corporate connections" method), Zucman shows Ireland as the largest EU-28 corporate tax haven, and the major route for Zucman's estimated annual loss of 20% in EU-28 corporate tax revenues. Ireland exceeds the Netherlands in terms of "quantum" of taxes shielded, which would arguably make Ireland the largest global corporate tax haven (it even matches the combined Caribbean triad of Bermuda-British Virgin Islands-the Cayman Islands). See § Zucman Corporate tax havens. Feargal O'Rourke CEO PwC (Ireland). Figures released in April 2017 show that since 2015 [when the double Irish was closed to new schemes] there has been a dramatic increase in companies using Ireland as a low-tax or no-tax jurisdiction for intellectual property (IP) and the income accruing to it, via a nearly 1000% increase in the uptake of a tax break expanded between 2014 and 2017 [the capital allowances for intangible assets BEPS tool]. The global legal firm Baker McKenzie, representing a coalition of 24 multinational US software firms, including Microsoft, lobbied Michael Noonan, as [Irish] minister for finance, to resist the [OECD MLI] proposals in January 2017. In a letter to him the group recommended Ireland not adopt article 12, as the changes “will have effects lasting decades” and could “hamper global investment and growth due to uncertainty around taxation”. The letter said that “keeping the current standard will make Ireland a more attractive location for a regional headquarters by reducing the level of uncertainty in the tax relationship with Ireland’s trading partners”. However, given the nature of the Irish tax regime, the royalty barrier should not impact royalties paid to a principal licensor resident in Ireland. Ireland's [OECD] BEPS-compliant tax regime offers taxpayers a competitive and robust solution in the context of such unilateral initiatives. IP-related tax benefits are not about to disappear. In fact, [the OECD] BEPS [Project] will help to regularise some of them, albeit in diluted form. Perversely, this is encouraging countries that previously shunned them to give them a try. However, the U.S. lost further control when corporate havens such as Ireland, developed "closed-loop" IP-based BEPS systems, like the capital allowances for intangibles tool, which by-pass U.S. anti-Corporate tax inversion controls, to enable any U.S. firm (even IP-light firms) create a synthetic corporate tax inversion (and achieve 0-3% Irish effective tax rates), without ever leaving the U.S.     Apple's successful $300 Q1 2015 billion IP-based Irish tax inversion (which came to be known as leprechaun economics), compares with the blocked $160 billion Pfizer-Allergan Irish tax inversion. Margrethe Vestager EU Competition Commissioner, levied the largest corporate tax fine in history on Apple Inc. on the 29 August 2016, for €13 billion (plus interest) in Irish taxes avoided for the period 2004-2014. While the U.S. exchequer has traditionally been seen as the main loser to global corporate tax havens,  the 15.5% repatriation rate of the Tax Cuts and Jobs Act of 2017 changes this calculus. IP-heavy U.S. corporates are the main users of BEPS tools. Studies show that as most other major economies run "territorial" tax systems, their corporates did not need to profit shift. They could just charge-out their IP to foreign markets from their home jurisdiction at low tax rates (e.g. 5% in Germany for German corporates). For example, there are no non-U.S./non-U.K. foreign corporates in Ireland's top 50 firms by revenues, and only one by employees, German retailer Lidl (whereas 14 of Ireland's top 20 firms are U.S. multinationals). The U.K. firms are mainly pre § U.K. transformation. (discussed here). Had U.S. multinationals not used IP-based BEPS tools in corporate tax havens, and paid the circa 25% corporation tax (average OECD rate)  abroad, the U.S. exchequer would have only received an additional 10% in tax (to bring the total effective U.S. worldwide tax rate to 35%). However, post the TCJA, the U.S. exchequer is now getting more tax, at the higher 15.5% rate, and their U.S. corporations have avoided the 25% foreign taxes (and therefore will have brought more capital back to the U.S. as result, which will contribute to the U.S. economy in other ways). This is at the expense of higher-tax Europe and Asian countries (who received no taxes from U.S. corporations, as they used IP-based BEPS tools from bases in corporate tax havens). The U.S. did not sign the OECD's June 2017 MLI, as it felt that it had low exposure to profit shifting. It is undoubtedly true that some American business operations are drawn offshore by the lure of low tax rates in tax havens; nevertheless, the policies of tax havens may, on net, enhance the U.S. Treasury's ability to collect tax revenue from American corporations. Gabriel Zucman. Current leading academic researcher into tax havens who explicitly uses the term corporate tax havens (see § Zucman Corporate tax havens). U.S. Congress. The Government Accountability Office in 2008,  and the Congressional Research Service in 2015,  mostly focus on activities by U.S. corporations. Singapore (top 10 2017 global financial centre). Switzerland (top 10 2017 global financial centre). and the British Virgin Islands. (Caribbean "triad"). Note four of these ten jurisdictions have financial centres that appear in 2017 top 10 Global Financial Centres Index: London, Hong Kong, Singapore, and Zurich. Luxembourg was in the top 15. The eight major pass-through economies—the Netherlands, Luxembourg, Hong Kong SAR, the British Virgin Islands, Bermuda, the Cayman Islands, Ireland, and Singapore—host more than 85 percent of the world’s investment in special purpose entities, which are often set up for tax reasons. A simple but effective proxy are the destinations to where U.S. multinationals execute tax inversions (i.e. an important test of the attractiveness of a corporate tax haven). However, cases like inversions to Canada could reflect more of a "relative-tax" view (i.e. Canada offers lower taxes than the U.S. and it is close by and less controversial), than an "absolute-tax" view on the best global locations for a corporate tax haven. The list still captures much of Zucman's list, particularly for the EU and the Caribbean. It captures the popularity of Ireland and the rise of the U.K.
One of the simpler, but effective, methods proposed of identifying tax havens (both corporate and traditional) is by tracking the distortion that the tax-driven accounting flows make on national economic flows. This is an effect that is particularly pronounced for corporate tax havens due to the larger scale of accounting flows from the larger § IP-based BEPS tools and § Debt-based BEPS tools. The following tables of the world's top 15 GDP-per-capita jurisdictions are taken from the List of countries by GDP (PPP) per capita for 2017 (from the IMF) and 2016 (from the World Bank). 3 of these top 10 global tax havens, Bermuda, British Virgin Islands and the Cayman Islands are not ranked by the IMF or the World Bank in their GDP-per-capita tables. The remaining top 10 global tax haven, the U.K., is ranked 21 and 26 (respectively); it is possible the U.K.'s transition is not complete (see § U.K. transformation). 4 of the 5 major Conduit OFCs are represented (again, only the U.K. is missing). The outliers in the table are jurisdictions whose economies are neither based on being a widely accepted tax haven or having oil & gas reserves. The same table, but at GDP (Nominal) values, ranks the tax havens even higher (at the expense of the smaller resource nations). ^ a b "Bermuda? Guess again. Turns out Holland is the tax haven of choice for US companies". The Correspondent. 30 June 2017. ^ Richard Murphy; Francis Weyzig (2006). "The Netherlands: A Tax Haven?" (PDF). Centre for Research on Multinational Corporations (SOMO). ^ a b c d e "New research makes it plain that Ireland is a tax haven". Quartz. 11 February 2014. ^ Jane Gravelle (15 January 2015). "Tax Havens: International Tax Avoidance and Evasion". Cornell University. ^ a b c d "Dutch masters of tax avoidance". The Guardian. 19 October 2011. ^ a b c d e "Profit Shifting and "Aggressive" Tax Planning by Multinational Firms" (PDF). Centre for European Economic Research (ZEW). October 2013. p. 3. ^ a b c d e "'Impossible' structures: tax outcomes overlooked by the 2015 tax Spillover analysis" (PDF). Christian Aid. 2017. ^ a b "Dutch Double Dips and Dutch Sandwiches". The Guardian. 10 December 2010. ^ a b George Turner (November 2017). "The Professionals: Dealing with the enablers of tax avoidance and financial crime" (PDF). Tax Justice Network. ^ a b Richard Brooks (January 2018). "Richard Brooks on how accountants got away with murder in the U.K." Centre for Investigative Journalism. ^ a b Nicholas Shaxson (November 2015). "How Ireland became an offshore financial centre". Tax Justice Network. ^ a b "Tax avoidance: The Irish inversion". The Financial Times. 14 April 2014. ^ a b "Effective Corporate Tax in Ireland: April 2014" (PDF). Department of Finance. April 2014. ^ a b c "Irish Finance Minister Paschal Donohoe rejects Gabrial Zucman report branding Ireland as the 'world's biggest tax haven'". Irish Times. 13 June 2018. Minister Donohoe pointed out that the Republic earned the “highest rating possible in terms of transparency” in the OECD’s latest review. ^ a b c "Ireland resists closing corporation tax 'loophole'". Irish Times. 10 November 2017. ^ a b c "Intellectual Property and Tax Avoidance in Ireland". Fordham Intellectual Property, Media & Entertainment Law Journal. 30 August 2016. ^ a b "Scion of a prominent political dynasty who gave his vote to accountancy". Irish Times. 8 May 2015. ^ "US tax haven claim surprises Dutch". DutchNews.nl. 5 May 2009. ^ "Ireland is not a tax haven, Leo Varadkar says". Irish Times. 23 November 2017. ^ a b "MOF rejects claim of Singapore as tax haven". Straits Times. 14 December 2016. ^ a b "What Makes a Country a Tax Haven? An Assessment of International Standards Shows Why Ireland Is Not a Tax Haven". Irish Department of Finance and Revenue Commissioners. September 2013. ^ a b "Singapore's government says it's not a tax haven, it's a value-adding IP hub". Sydney Morning Hearald. 30 April 2015. ^ a b "OECD tax chief: 'Ireland is not a tax haven'". thejournal.ie. 23 July 2013. ^ "Why Ireland's transparency and tax regime means it is not a haven". Irish Independent. February 2018. ^ "A tax haven blacklist without the UK is a whitewash". The Guardian. 7 December 2017. ^ "Joseph Stiglitz: 'Cheating' Ireland, muddled Europe". The Irish Examiner. 2 September 2016. ^ "Where is Luxembourg, Ireland and the Netherlands on the new EU blacklist". The International Consortium of Investigative Journalists. 5 December 2015. ^ "The Netherlands: tax haven or not?". ESV. 2016. ^ "Is Ireland a Corporate Tax Haven, Clare Daly Irish Dail T.D." 2013. ^ "Is the U.K. Already the Kind of Tax Haven It Claims It Won't Be?". Bloomberg News. 31 July 2017. ^ "If Ireland Is Not A Tax Haven, What Is It?". Forbes. November 2014. ^ "Effective Corporate Tax calculations: 2.2%". Irish Times. 14 February 2014. A study by James Stewart, associate professor in finance at Trinity College Dublin, suggests that in 2011 the subsidiaries of US multinationals in Ireland paid an effective tax rate of 2.2 per cent. ^ a b "Weil on Finance: Yes, Ireland Is a Tax Haven". Bloomberg News. 11 February 2014. ^ "Multinationals escape tax due to 'exceptional' rules, study claims". Irish Times. 6 May 2014. ^ "Irish PM counters corporate tax rate claims". CNBC. February 2014. ^ "Kenny warns continued 'loose talk on taxation is damaging our country'". Irish Independent. February 2014. ^ Foroohar, Rana (30 August 2016). "Apple vs. the E.U. Is the Biggest Tax Battle in History". TIME.com. Retrieved 14 November 2016. ^ a b "State aid: Ireland gave illegal tax benefits to Apple worth up to €13 billion". EU Commission. 30 August 2016. ^ a b Barrera, Rita; Bustamante, Jessica (2 August 2017). "The Rotten Apple: Tax Avoidance in Ireland". The International Trade Journal. 32: 150–161. doi: 10.1080/08853908.2017.1356250. ^ a b "Irish Revenue insists it collected all taxes Apple owed in Ireland". Irish Times. 30 August 2016. ^ "TAX JUSTICE NETWORK: Ireland Financial Secrecy Index Country Report 2014" (PDF). Tax Justice Network. November 2014. Misleadingly, studies cited by the Irish Times and other outlets suggest that the effective tax rate is close to the headline 12.5 percent rate – but this is a fictional result based on a theoretical ‘standard firm with 60 employees’ and no exports: it is entirely inapplicable to transnationals. Though there are various ways to calculate effective tax rates, other studies find rates of just 2.5-4.5 percent. ^ "Corporate tax: defending the indefensible". The Irish Times. 2 December 2017. ^ a b "BEPS Project Background Brief" (PDF). OECD. January 2017. With a conservatively estimated annual revenue loss of USD 100 to 240 billion, the stakes are high for governments around the world. ^ "World Development Report 2019: The Changing Nature of Work". World Bank. ^ a b c d "Tracking Tax Runaways". Bloomberg News. 1 March 2017. ^ a b "Google's 'Dutch Sandwich' Shielded 16 Billion Euros From Tax". Bloomberg. 2 January 2018. ^ a b "How Russian Firms Funnelled €100bn through Dublin". The Sunday Business Post. 4 March 2018. ^ a b "More than €100bn in Russian Money funneled through Dublin". The Irish Times. 4 March 2018. ^ a b "Appleby, the offshore law firm with a record of compliance failures". Irish Times. November 2017. ^ "Law firm Walkers doubles up on Dublin office space in the IFSC". Sunday Business Post. 4 February 2018. ^ "MaplesFS plans to add staff after Dublin office move". Irish Times. 5 May 2017. ^ "Mourant opens Dublin office". Jersey Post. January 2008. ^ a b "After a Tax Crackdown, Apple Found a New Shelter for Its Profits". The New York Times. 6 November 2017. ^ "Singapore remains the top choice for multinational hubs, tax data shows". 30 April 2015. ^ a b "Intangible Assets Scheme under Section 291A Taxes Consolidation Act 1997" (PDF). Irish Revenue. 2010. ^ "Capital Allowances for Intangible Assets under section 291A of the Taxes Consolidation Act 1997 (Part 9 / Chapter2)" (PDF). Irish Revenue. February 2018. ^ "The Guardian view on tax and Ireland: Apple, pay your way". 30 August 2016. ^ "Revealed Eight facts you may not know about the Apple Irish plant". Irish Independent. 15 December 2017. ^ "Apple's multi-billion dollar, low-tax profit hub: Knocknaheeny, Ireland". The Guardian. 29 May 2013. ^ "Does Google Ireland really have 6,000 employees in Ireland?". 17 June 2016. ^ a b "Dutch set out plan to counter tax-haven reputation". Financial Times. 27 February 2018. ^ "Drugs company moves to cut tax bill". The Guardian. 15 April 2008. ^ a b c d "Still slipping the net: Europe's corporate-tax havens say they are reforming. Up to a point". The Economist. 8 October 2015. ^ a b "The Spider's Web – a film about Britain's tax haven empire". Tax Justice Network. 15 May 2017. ^ a b c "Hidden Value: A study of the UK IP Valuation Market" (PDF). The UK Intellectual Property Office. February 2017. ^ "Lucy Neville-Rolfe appointed UK intellectual property minister". Financial Times. 19 July 2014. ^ a b "Global IP Index" (PDF). GIPC. February 2018. p. 6. ^ "Tax Reform in the UK Reversed the Tide of Corporate Tax Inversions" (PDF). Tax Foundation. 14 October 2014. ^ "The United Kingdom's Experience with Inversions". Tax Foundation. 5 April 2016. ^ IMF working paper: Concept of Offshore Financial Centers: In Search of an Operational Definition; Ahmed Zoromé; IMF Working Paper 07/87; April 1, 2007. (PDF). Retrieved on 2011-11-02. ^ "Denouncing Ireland as a tax haven is as dated as calling it homophobic because of our past". Irish Independent. 21 June 2018. The total value of US business investment in Ireland - ranging from data centres to the world's most advanced manufacturing facilities - stands at $387bn (€334bn) - this is more than the combined US investment in South America, Africa and the Middle East, and more than the BRIC countries combined. ^ a b c d e "Tax Avoidance and the Irish Balance of Payments". Council on Foreign Relations. 25 April 2018. ^ "International GNI to GDP Comparisons". Seamus Coffey, University College Cork. 29 April 2013. ^ a b c d e "Piercing the Veil of Tax Havens VOL. 55, NO. 2". International Monetary Fund: Finance & Development Quarterly. June 2018. The eight major pass-through economies—the Netherlands, Luxembourg, Hong Kong SAR, the British Virgin Islands, Bermuda, the Cayman Islands, Ireland, and Singapore—host more than 85 percent of the world’s investment in special purpose entities, which are often set up for tax reasons. ^ "Do Tax Havens Flourish" (PDF). Michigan Ross School of Business. 2004. ^ a b "Why Tax Havens are Political and Economic disasters". The Atlantic. 28 July 2016. ^ a b "How tax havens turn economic statistics into nonsense". Quartz. 11 June 2018. ^ "OECD Ireland Survey 2018" (PDF). OECD. March 2018. ^ "National debt now €44000 per head". Irish Independent. 7 July 2017. ^ "The fall of Jersey: how a tax haven goes bust". The Guardian. 8 December 2015. ^ a b "Intellectual Property Tax Planning in the light of Base Erosion and Profit Shifting". University of Tilburg. June 2017. ^ a b "The Tax Treaty Network of the United Kingdom" (PDF). International Taxation (Volume 9). September 2013. ^ "UK tops global table of damaging tax deals with developing countries". The Guardian. 23 February 2016. ^ a b c "Intellectual Property Law Solutions to Tax Avoidance" (PDF). UCLA Law Review. 2015. p. 4. ^ a b "Intellectual Property and the Corporate Tax Avoidance Toolbox". B&R Beurs. 2018. ^ "U.K. Patent Box holds key to Pfizer-AstraZeneca deal's attraction". Financial Times. April 2014. ^ a b "New OECD BEPS-compliant IP regime open opportunities". Deloitte (Luxembourg). August 2017. ^ "New Dutch Tax Treaties Harms Developing Countries". somo.nl. 20 April 2011. ^ "OECD releases implementation guidance on hard-to-value intangibles". Ernst & Young. 23 May 2017. ^ "Growing your business with IP cycle". Intellectual Property Office of Singapore. 2018. ^ a b c "Revealed: Project Goldcrest, how Amazon worked with the Luxembourg Government to avoid huge sumes in tax with IP". The Guardian. 18 February 2016. ^ a b "OECD's new tax proposals won't stop companies shifting profits to tax havens". The Conversation. 6 October 2016. ^ a b "Maples and Calder Irish Intellectual Property Tax Regime - 2.5% Effective Tax". Maples and Calder Law Firm. February 2018. ^ a b "Ireland as a European gateway jurisdiction for China – outbound and inbound investments" (PDF). Matheson. March 2013. The tax deduction can be used to achieve an effective tax rate of 2.5% on profits from the exploitation of the IP purchased. Provided the IP is held for five years, a subsequent disposal of the IP will not result in a clawback. ^ "Facebook Ireland pays tax of just €30m on €12.6bn". Irish Examiner. 29 November 2017. ^ "After a Tax Crackdown, Apple Found a New Shelter for Its Profits". The New York Times. 6 November 2017. ^ a b "Intellectual Property Tax". KPMG. 4 December 2017. ^ a b c "DE CORRESPONDENT REVEALS HOW THE NETHERLANDS BECAME TAX HAVEN". Oxfam/De Correspondant. May 2017. ^ "Explainer: what is a tax haven? The most important feature of a secrecy jurisdiction is that local politics is captured by financial services interests". The Guardian. 9 January 2011. This political capture produces one of the great offshore paradoxes: these zones of ultra-freedom are often highly repressive places, wary of scrutiny and intolerant of criticism. ^ "Tax Justice Network: Captured State". Tax Justice Network. November 2015. ^ "Multinationals replacing 'Double Irish' with new tax avoidance scheme". The Irish Independent. 9 November 2014. ^ "Three years of silence on 'Single Malt' tax loophole raises questions". Irish Times. 16 November 2017. ^ "The Double Irish is dead, long live the 'knowledge-development box'". journal.ie. 14 October 2014. ^ "Dáil Éireann debate - Thursday, 23 Nov 2017". House of the Oireachtas. 23 November 2017. ^ "Ireland actively facilitates firms in avoiding tax, report finds". Irish Times. 4 December 2017. ^ a b "Man Making Ireland Tax Avoidance Hub Proves Local Hero". Bloomberg News. 28 October 2013. ^ a b "Zo werd Nederland het grootste belastingparadijs voor Amerikaanse multinationals". De Correspondant. 1 June 2017. ^ "Advisers face tighter EU rules on tax schemes". Financial Times. 13 March 2018. ^ "Intellectual Property (IP) regime in Ireland" (PDF). Grant Thornton. August 2015. ^ "Global Taxation of Intellectual Property" (PDF). Ernst & Young. 2017. ^ a b "CSO Press Release" (PDF). Central Statistics Office (Ireland). 12 July 2016. ^ "Challenges of Measuring the Modern Global Econpomy" (PDF). Central Statistics Office (Ireland). 2017. ^ Accordingly, as of 1 January 2018, German-based licensees will be unable to deduct royalties paid to affiliates to the extent that the licensor’s royalty income is not subject to the regular tax regime (e.g. IP box regime) and taxed at a low rate within the meaning of the royalty barrier (effective tax rate of < 25 %). "Federal Council Approves New Law Limiting Royalty Deductions". Baker McKenzie. 2 July 2017. ^ "18th Annual NYU/KPMG Tax Lecture Addresses International Provisions of TCJA". Reuters. 13 May 2018. ^ "Do you know what the Knowledge Box is?". Irish Indepdendant. 9 October 2015. ^ A patent box of this kind is likely to be introduced in Switzerland in the context of tax package 17 ""Royalty Restrictions" in Germany". PwC Stiwzerland. 11 July 2017. ^ At least 125 major U.S. companies have registered several hundred subsidiaries or investment funds at 70 Sir John Rogerson’s Quay, a seven-story building in Dublin’s docklands, according to a review of government and corporate records by The Wall Street Journal. The common thread is the building’s primary resident: Matheson, an Irish law firm that specializes in ways companies can use Irish tax law. "Dublin Moves to Block Controversial Tax Gambit". Wall Street Journal. 15 October 2013. ^ "Germany: multinationals faced increasing tax compliance obligations in 2017, uncertainty lies ahead". MNE Tax. 27 December 2017. ^ a b c "Germany: Breaking Down The German Royalty Barrier - A View From Ireland". Matheson. 8 November 2017. ^ a b c d "The Missing Profits of Nations" (PDF). Gabriel Zucman (University of Berkley). April 2018. p. 68. ^ "The tech giants will never pay their fair share of taxes – unless we make them". The Guardian. 11 December 2017. ^ "Bank of America: 40% Of U.S. S&P500 Margin Expansion In The Last 20 Years Is From Globalization and Tax Avoidance". 21 June 2018. ^ "Tracking Personal Wealth and Corporate Profits" (PDF). Journal of Economic Perspectives. 2014. ^ "Why Corporate Tax Avoidance Is Bigger Than You Think". Stanford Business. 24 May 2016. ^ "IBM earnings beat is a product of tax avoidance, and it's nothing new". Marketwatch. October 2017. ^ a b c "Ireland as a Location for Your Intellectual Property Trading Company" (PDF). Arthur Cox Law. April 2015. ^ "Special Report: How Starbucks avoids UK taxes". The Guardian. 15 October 2012. ^ "Intellectual Property Box Regimes: Effective Tax Rates and Tax Policy Considerations" (PDF). ZEW Centre for European Economic Research. 2014. ^ "Big Pharma Murdered Tax Inversions". Bloomberg News. 6 August 2016. ^ "US issues new rules to clamp down on tax 'inversions'". Irish Times. 16 October 2016. ^ "Trump to keep Obama rule curbing corporate tax inversion deals". Reuters. 4 October 2017. ^ "Global Tax Aleart Corporate Inversions" (PDF). Ernst & Young. 20 January 2017. ^ "Apple tax affairs changes triggered a surge in Irish economy". The Irish Examiner. 18 September 2016. 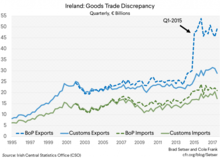 ^ "Apple's Exports Aren't Missing: They Are in Ireland". Council on Foreign Relations. 30 October 2017. ^ a b "What Apple did next". Seamus Coffey, University College Cork. 24 January 2018. ^ a b "World IP Day: IRELAND'S 2.5% IP Tax Rate (Section 4.1.1)". Mason Hayes and Curran. April 2013. ^ "Tax break for IP transfers is cut to 80pc". Irish Independent. 11 October 2017. ^ "Change in tax treatment of intellectual property and subsequent and reversal hard to fathom". Irish Times. 8 November 2017. ^ "MNE Tax Strategies in Ireland" (PDF). Trinity College Dublin. 2016. ^ "The Netherlands: a tax haven continuing its contribution to the corporate tax race to the bottom (translated)" (PDF). 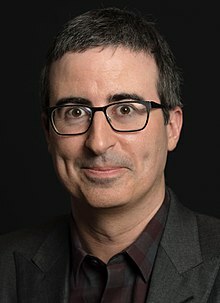 Oxfam Novib. May 2016. ^ "The Netherlands: Taxation of Cross-Border Mergers" (PDF). KPMG. April 2014. ^ "How did the Government shaft mortgage holders and taxpayers in one fell swoop?". Irish Independent. 10 July 2016. ^ "Vulture funds are feasting tax-free on carcass of our property crash". Irish Independent. 30 August 2016. ^ "Global Securitisation Market" (PDF). Morgan Stanley. 2017. ^ a b "Inversions under the New Tax Law: Carrot and Stick". Tax Foundation. 13 March 2018. ^ "Tax Reform - Considerations for U.S. Multinationals". Lexology. 9 March 2018. ^ "U.S. TCJA JPMorgan" (PDF). JPMorgan. January 2018. ^ "Ireland as a Domicile for Structured Finance" (PDF). Arthur Cox Law. 2014. ^ "Irish Securitisation Section 110 Vehicles". International Tax Review. 15 March 2015. ^ "'Strong evidence' Ireland aiding EU banks' tax-avoidance schemes". Irish Independent. 25 March 2017. ^ "Ireland accused of facilitating tax avoidance by European banks". Irish Times. 17 March 2017. ^ a b c "The desperate inequality behind global tax dodging". The Guardian. 8 November 2017. ^ "Apple to create stunning new London HQ at Battersea Power Station". The Standard. 28 September 2016. ^ "Google hails Britain as a 'great home' as it starts building its new £1bn London HQ". Daily Mail. 17 November 2017. ^ "Facebook to recruit 800 more staff for new London HQ". Financial Times. 4 December 2017. ^ "Offshore Shell Games: 2017". Institute on Taxation and Economic Policy (ITEP). October 2017. p. 11. ^ "The Missing Profits of Nations" (PDF). Gabriel Zucman, Thomas Tørsløv, Ludvig Wier. June 2018. p. 26. ^ Seamus Coffey Irish Fiscal Advisory Council (29 April 2013). "International GNI to GDP Comparisons". University College Cork. ^ "Common Law Trusts". Tax Justice Network. 19 December 2017. ^ "Country Legal Systems". CIA Factbook. ^ "Netherlands, not Bermuda, is the tax evasion capital of the world". Compliance Week. 30 July 2017. ^ "UK second largest conduit for tax havens". Accountancy Weekly. 27 July 2017. ^ "UK could become 'tax haven' of Europe if it is shut out of single market after Brexit, Chancellor suggests". Independent. 15 January 2017. ^ "Hong Kong; The next Luxembourg" (PDF). Citibank Asia. April 2013. ^ a b c "Tax Battles: the dangerous global race to the bottom on corporate tax". Oxfam. December 2016. ^ a b c "TAX BATTLES The dangerous global Race to the Bottom on Corporate Tax" (PDF). Oxfam. December 2016. ^ a b c d "Offshore Shell Games 2017" (PDF). Institute of Taxation and Economic Policy. 2017. p. 17. ^ "Controversial tax strategies brainchild of O'Rourke's son". Irish Independent. 3 November 2013. ^ a b "New UN tax handbook: Lower-income countries vs OECD BEPS failure". Tax Justice Network. 11 September 2017. ^ "Turning the Tide: The OECD's Multilateral Instrument Has Been Signed" (PDF). SquirePattonBoggs. July 2017. ^ "Signing by 68 jurisdictions of the Multilateral Convention to Implement Tax Treaty Related Measures to Prevent BEPS highlights impacts for business to consider" (PDF). Ernst & Young. 14 June 2017. ^ "Oxfam disputes opaque OECD failing that just one tax haven fails on transparency". Oxfam. 30 June 2017. ^ "OECD gives cautious welcome to Irish Knowledge Box tax scheme". Irish Independent. 23 October 2014. ^ "Maples and Calder Irish Intellectual Property Tax Regime - 2.5% Effective Tax". Maples and Calder Law Firm. February 2018. ^ "Facebook must give judge documents for U.S. tax probe of Irish unit". Reuters. 28 March 2018. ^ "Facebook's Dublin HQ central to $5bn US tax probe". Sunday Business Post. 1 April 2018. ^ "Facebook Ordered to Comply With U.S. Tax Probe of Irish Unit". Bloomberg News. 28 March 2018. ^ "Trump's US tax reform a significant challenge for Ireland". Irish Times. 30 November 2017. ^ "Why Ireland faces a fight on the corporate tax front". Irish Times. 14 March 2018. ^ "Reassessing the Beloved Double Irish Structure (as Single Malt) in Light of GILTI". Taxnotes. 23 April 2018. ^ a b "U.S. Tax Cuts and Jobs Act: Winners and Losers". Taxnotes. 19 March 2018. p. 1235. ^ "Tokyo targets tax avoidance on intellectual property". Nikkei Asian Review. 10 March 2017. ^ "Multinational Firms and Tax Havens". University of Michigan Law School. 2016. p. 714. ^ "The U.S. Has the Highest Corporate Income Tax Rate in the OECD". Tax Foundation. 27 October 2014. ^ "Treasury Official Explains Why U.S. Didn't Sign OECD Super-Treaty". Bloomberg BNA. 8 June 2017. ^ a b c "John Hines and Eric Rice. FISCAL PARADISE: FOREIGN TAX HAVENS AND AMERICAN BUSINESS" (PDF). Quarterly Journal of Economics (Harvard/MIT). February 1994. ^ a b "RONEN PALEN: Tax Havens and Offshore Financial Centres" (PDF). University of Birmingham. 4 April 2012. Some experts see no difference between tax havens and OFCs, and employ the terms interchangeably. ^ "Towards Global Tax Co-Operation" (PDF). OECD. 2000. ^ "EU blacklist names 17 tax havens and puts Caymans and Jersey on notice". The Guardian. 5 December 2017. ^ a b "IDENTIFYING TAX HAVENS AND OFFSHORE FINANCE CENTRES: Various attempts have been made to identify and list tax havens and offshore finance centres (OFCs). This Briefing Paper aims to compare these lists and clarify the criteria used in preparing them" (PDF). Tax Justice Network. July 2017. ^ "Treasure Islands". University of Michigan. 2010. ^ "Tax Havens" (PDF). University of Michigan. 2007. ^ "Which countries become tax havens?" (PDF). Journal of Public Economics. 2009. ^ "These five countries are conduits for the world's biggest tax havens". The Conversation. 25 July 2017.